It seems nostalgic titles are the flavour of 2015, with Marvel attempting a similar history-infused comic series in X-Men ’92. 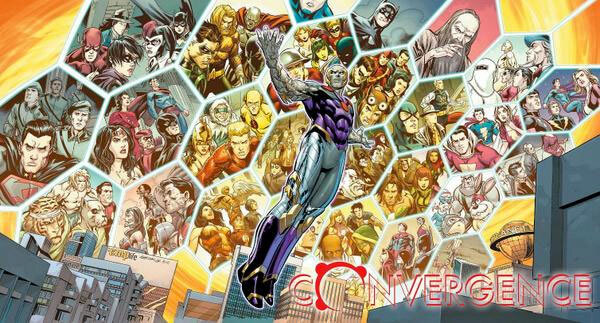 But Convergence also promises some new things too, particular a villian with an awesome presence. The narrative picks up were The New 52 narrative arc and Earth Two stories left off. Brainiac has collected whole world and cities throughout space and time, housing them in an alternate dimension. Now he’s about to see all these world’s interact in what may be the greatest social experiment of all time.